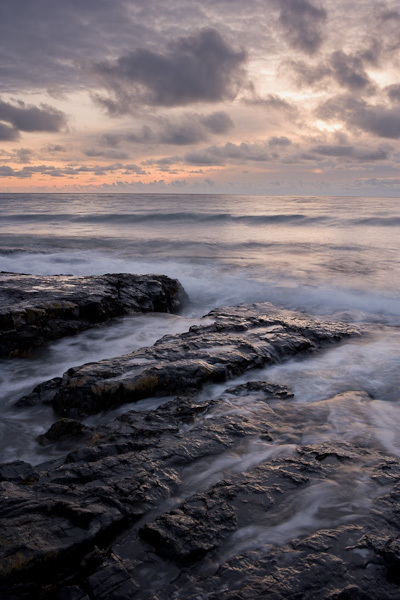 The coastal region of Northumberland is a delightful mixture of rocky and sandy beaches. It faces directly out into the North Sea before eventually making landfall in Denmark. This coast can endure the worst of storms, but for this dawn, the sea was benign and the waves lapped gently on the rocky foreshore.